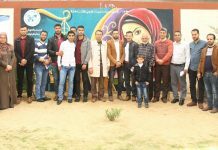 NSDL conducted a thematic workshop on the impact of the legal and social environment on the increase of the divorce rates in the Southern Gaza Strip within the framework of the activities of the project ” Protecting women’s life, rights and dignity in the Southern Gaza Strip”; funded by “Sawasya” the Joint Programme UNDP/UN Women/UNICEF, Promoting the Rule of Law in the State of Palestine. 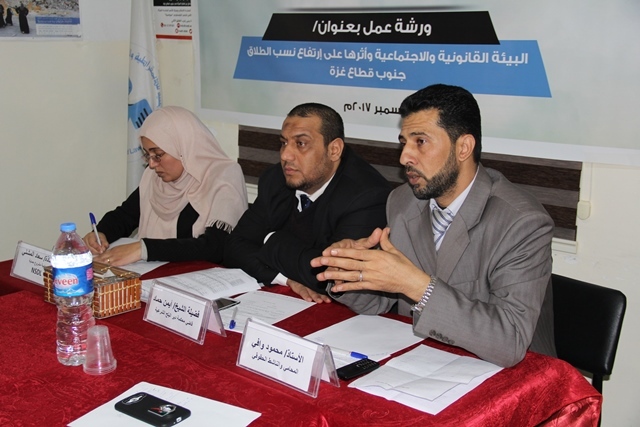 Ms. Suaad Almashni, the lawyer of the legal clinic, managed to run the meeting. 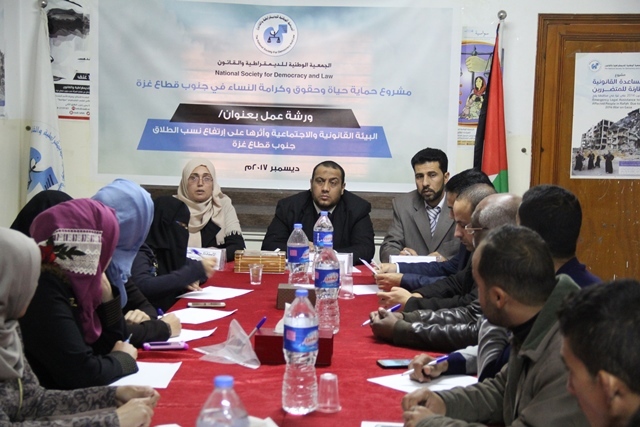 She opened the meeting by welcoming the speakers and the attendees; and then she talked briefly about the nature of NSDL work, the legal clinic and the running project as well as its main objectives. warned of the seriousness of the situation and added that there must be a real intervention to reduce the rates of such a serious issue. 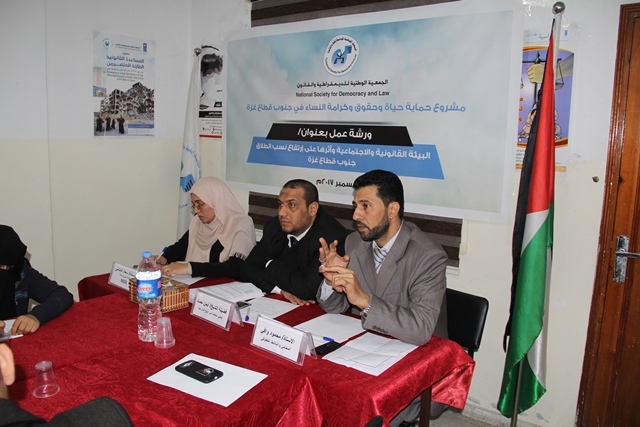 Moreover, he talked about the prominent reasons lying behind the problem, which may boil down to the difficult economic situation, lack of inward faith and lack of community awareness of the dangerous consequences of divorce on different walks of life. 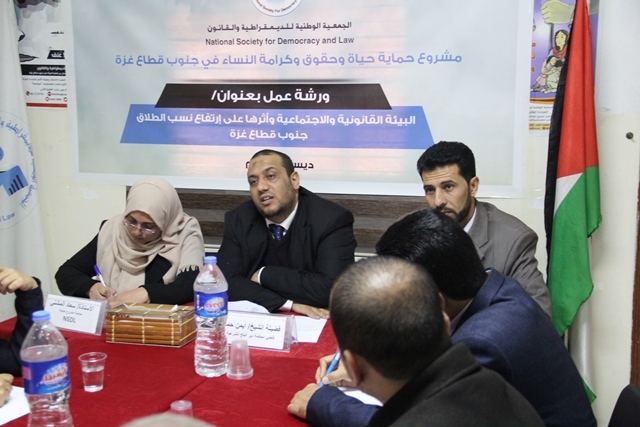 Mahmoud Wafi, a lawyer and a human rights activist, addressed the mechanisms of combating and reducing the peril of divorce in the Southern Gaza Strip, confirming the necessity of having a comprehensive national strategy to tackle this issue. 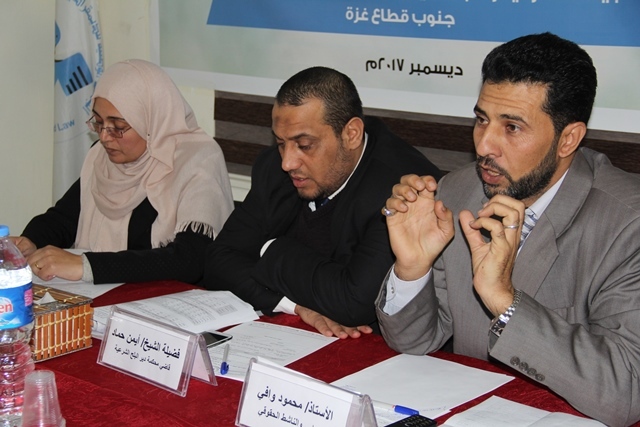 In fact, such a serious problem has led to violate children’s rights and threaten the very fabric of the society. 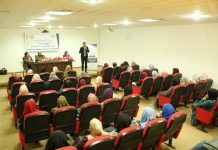 Over and above that, Mr. Wafi emphasized the importance of disseminating the legal and social awareness on the causes of women’s rights as well as marital rights; not to mention the significance of sharing the responsibilities between females and males. 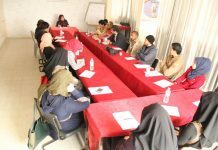 At the end of the meeting, everybody was granted an opportunity to discuss and express their opinions and raise their questions. All of the inquiries were answered and a number of recommendations were, therefore, made. 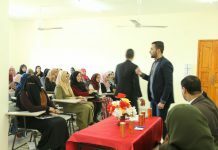 It is noteworthy to mention that the attendees were highly pleased with the workshop, asking for more workshops, activities and events, which may contribute to educating the community and reducing the rates of divorce.